Goddess Shirkai Devi, also referred as Ma Shirkai, is a manifestation of Mother Goddess and is worshipped mainly in Maharashtra. She is a village deity. The main temples dedicated to the Goddess are located in Kolhapur and neighboring districts in Maharashtra. Goddess Shirkai Devi is a fierce form of Goddess Shakti. 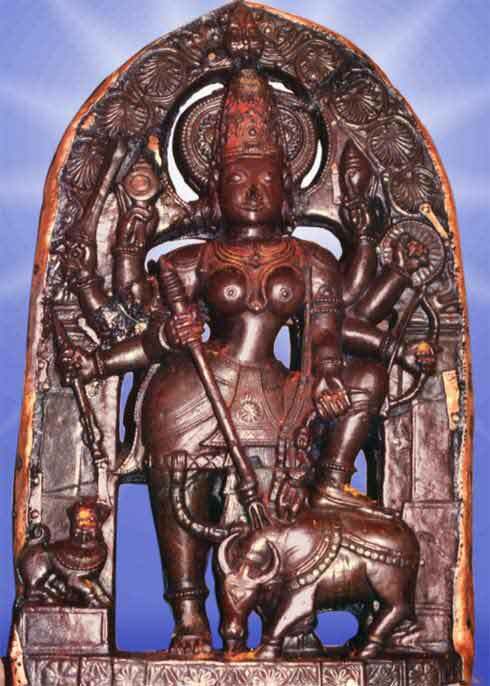 The murti of Goddess has eight arms and is depicted as killing a buffalo demon. She depicts the characteristics of Durga, Kali and Chamunda. Shirkai Devi removes darkness caused by Adharma. She upholds righteousness by protecting those who practice Dharma.